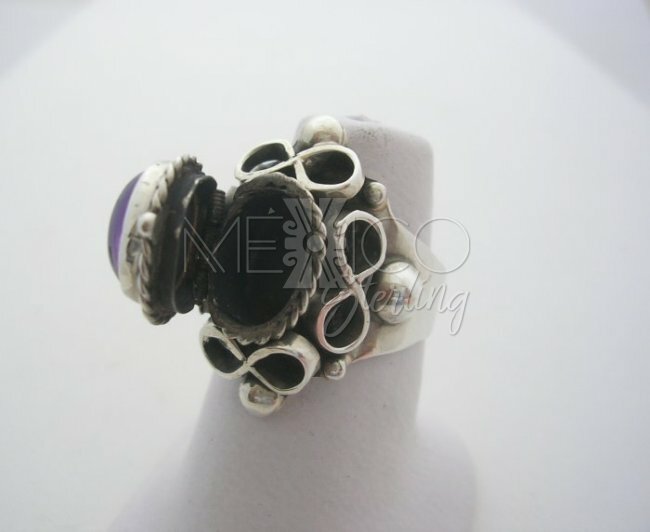 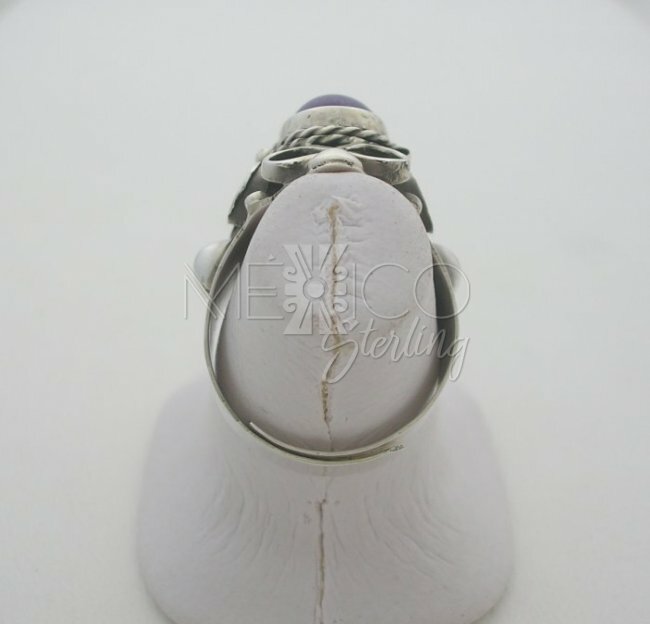 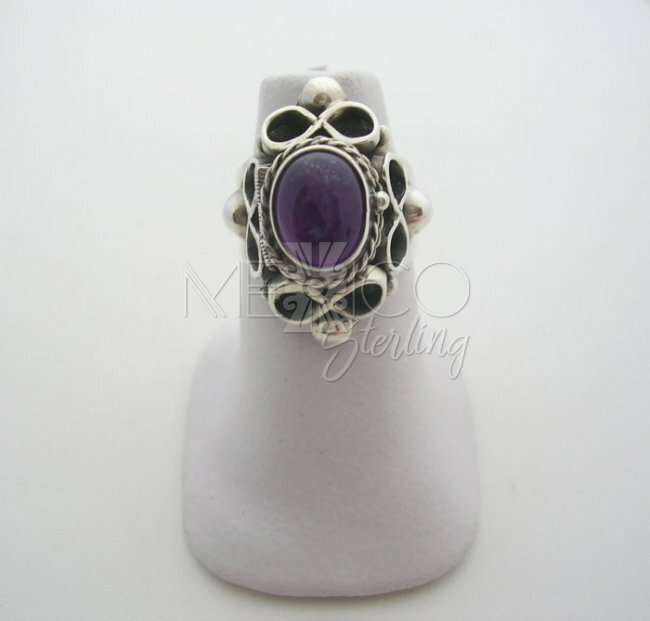 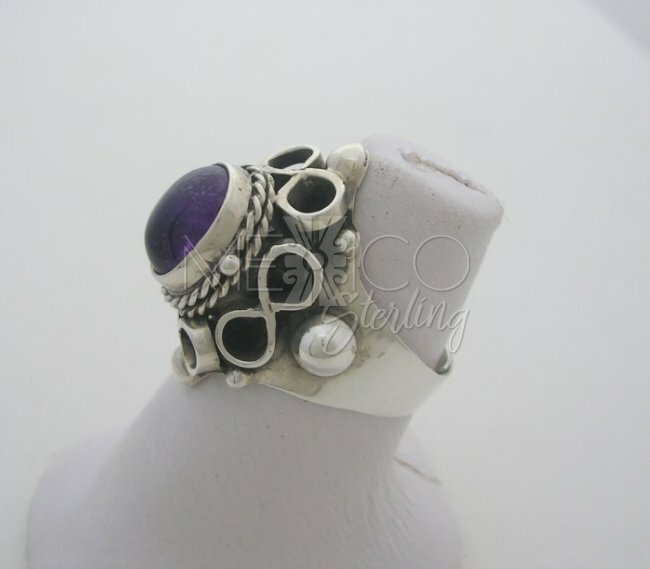 Classic, Taxco Silver Amethyst Poison Ring - $48.00 : Mexico Sterling Silver Jewelry, Proundly from Mexico to the world. 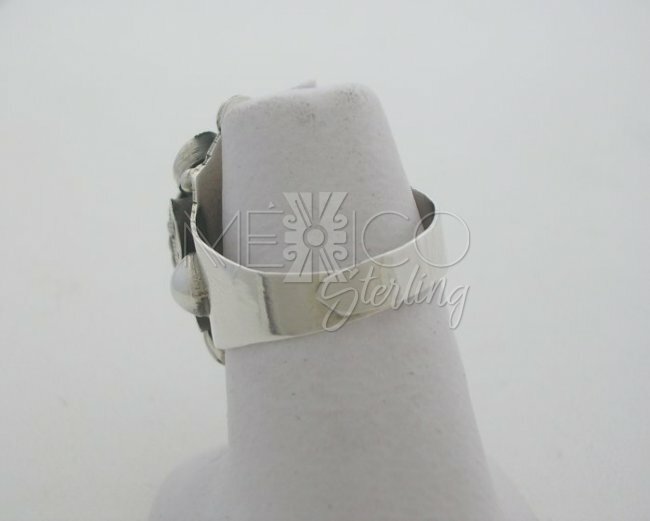 Silver ring with an ancient and ethnic look that talks a lot about Taxco's jewelry and takes us in time to to 1930's or 1950's. 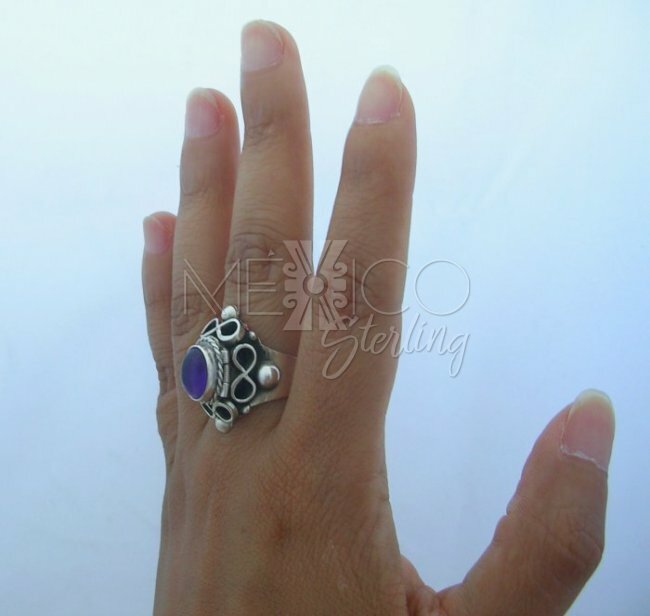 This kind of Mexican jewelry is well know all around the world and for the good reasons. 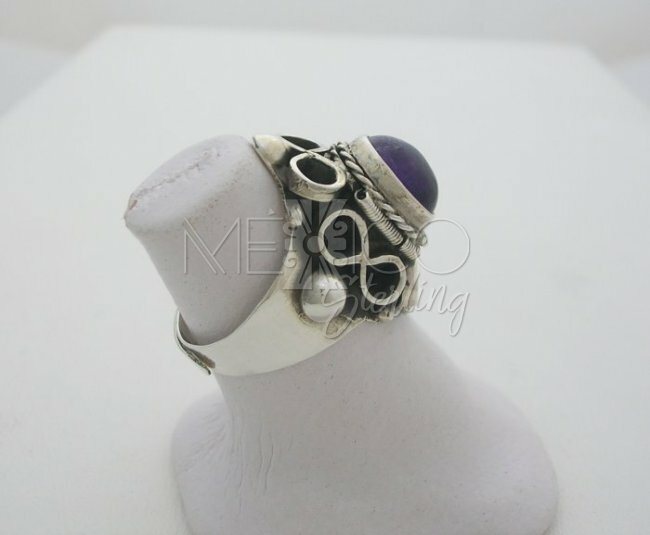 These rings had always been the favorite ones for women accessories. 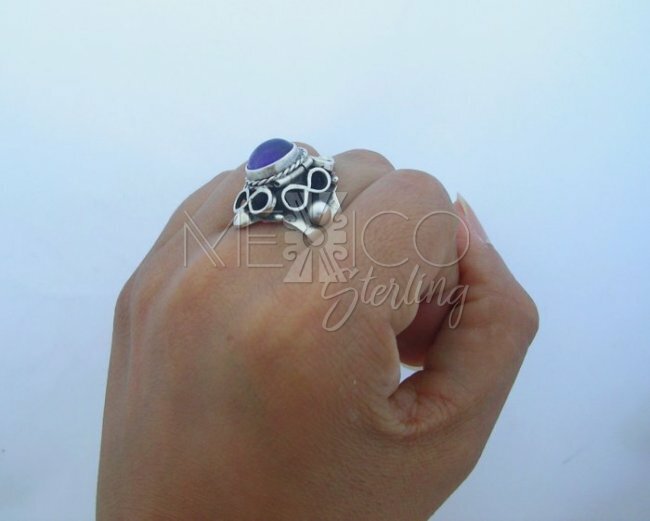 Their unique design, classic, colonial Mexican style, has captivated people that appreciates artistic pieces of jewelry. 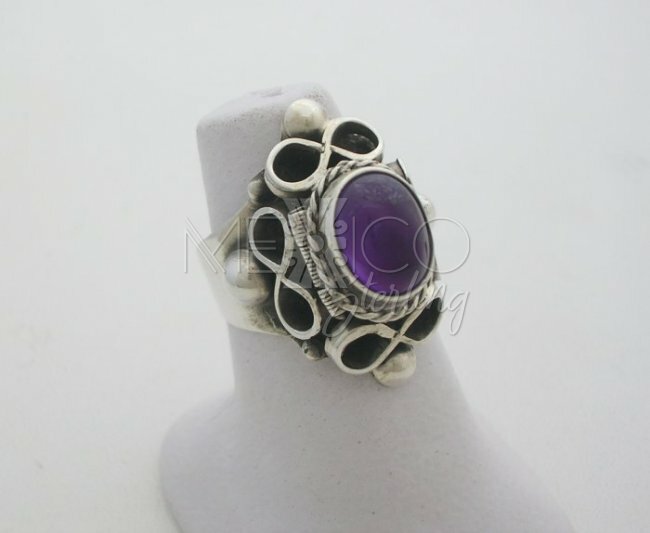 This silver ring is handcrafted with excellent workmanship and beautifully finished. 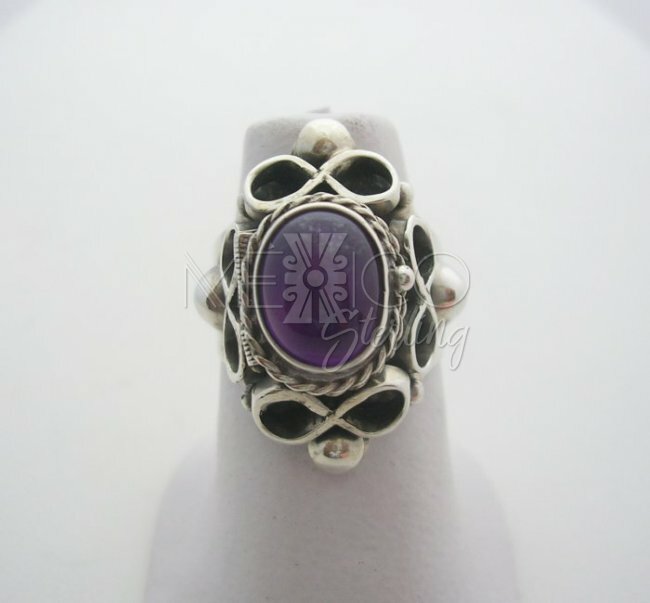 The sterling silver jewel, carries one nice gemstone at the centerpiece. 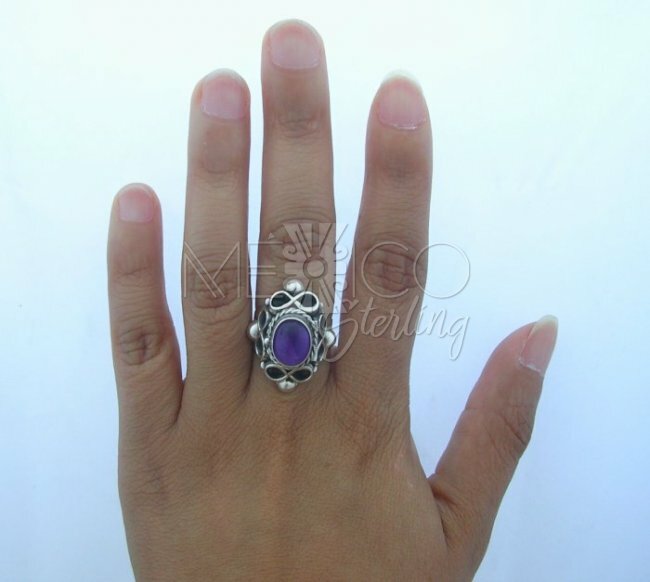 We call these kind of rings Poison rings, cause you can hide or keep either little pills or like it is been shown in so many Hollywood movies, cyanide dust. 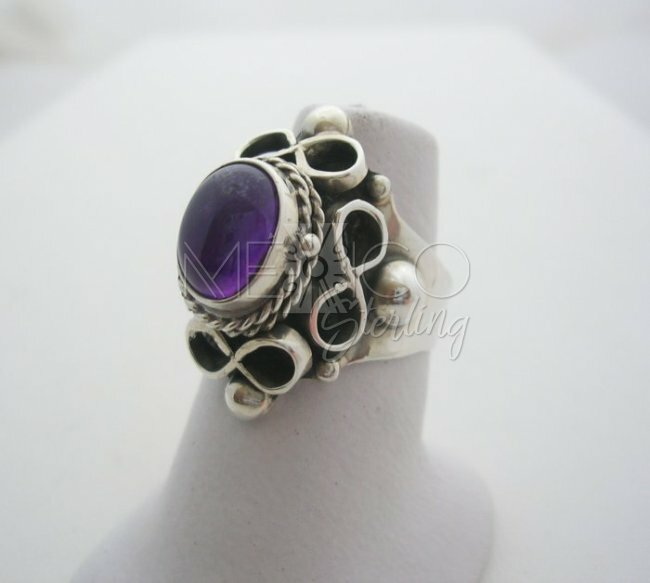 Whatever the reason or the use you give to this silver ring, it will always look amazing and its wonderful ethnic timeless design will last forever.